Shown within this section are videos showing the step by step process of installing concealed toilet cistern and bathroom installation frames. 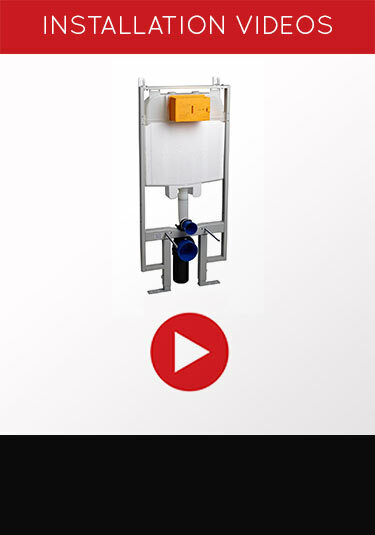 We also have videos showing how the mechanical and air cistern flush plates are fitted to the cisterns. Click for the technical information & the fitting instructions for our large range of bathroom instalation frames. Included are installation details for concealed toilet cisterns, wash basin hanging frames, bidet wall hanging frames & bathroom frames for wall hung urinals. This information will give show how easy it is to install hidden bathroom frames into wall hung bathrooms. Technical data sheets showing the specification of each of the cistern flush plates. The information shown will include colours and finishes available, drawings showing the flush buttons full dimensions, materials of construction and the cisterns that the plates will fit. 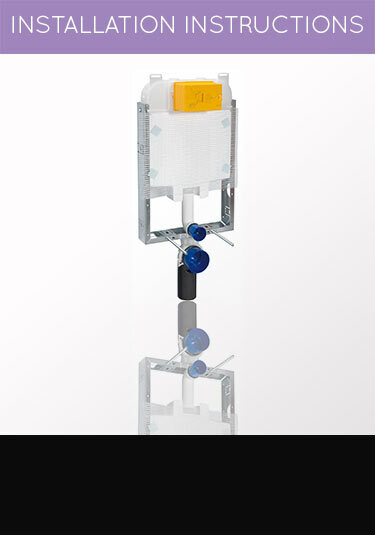 Here we offer information showing the technical data and installation information to the fitting of concealed toilet cisterns, bathroom installation frames for basins and bidets and the fitting of mechanical and air cistern flush plates. Hopefully by showing you the installing process, this will help you to make an informed decision on choosing the right system for your bathroom. * We show all the technical data on each item within the bathroom installation range including all dimensions, water capacities and standards etc. * We show the installation process of all types of concealed toilet cisterns, basin hanging frames, bidet frames and the fitting of mechanical and air flush plates. * We also have installation videos showing the full fitting process of concealed toilet cisterns and the hanging of wall hung toilets, plus videos showing the fitting of air and mechanical flush buttons to these cisterns.